Many of us are familiar with Marie Curie, the famous two-time Nobel Laureate, but our children may not understand the obstacles she overcame to achieve her scientific breakthroughs. One children’s book is telling Marie’s story in a new way—painting her as a superhero. Marie Curie and the Power of Persistence, available now on IndieGoGo, uses a novel storytelling approach to bring this historical figure to life for readers both young and old. Written and illustrated as a dynamic superhero story, this book introduces children to important scientists and their key accomplishments in a fun and engaging way. In her life’s story, the power of persistence is a recurring theme, and she relies on her superpower during her ongoing battle with her arch nemesis, Mr. Opposition. Throughout her life, society and institutional limitations threatened to block her progress. Determined to become educated and successful, Marie Curie persisted. Marie Curie represents a strong-willed role model for both girls and boys as the only person to ever win two Nobel Prizes, and the story demystifies her complex discoveries using language that early readers can understand. 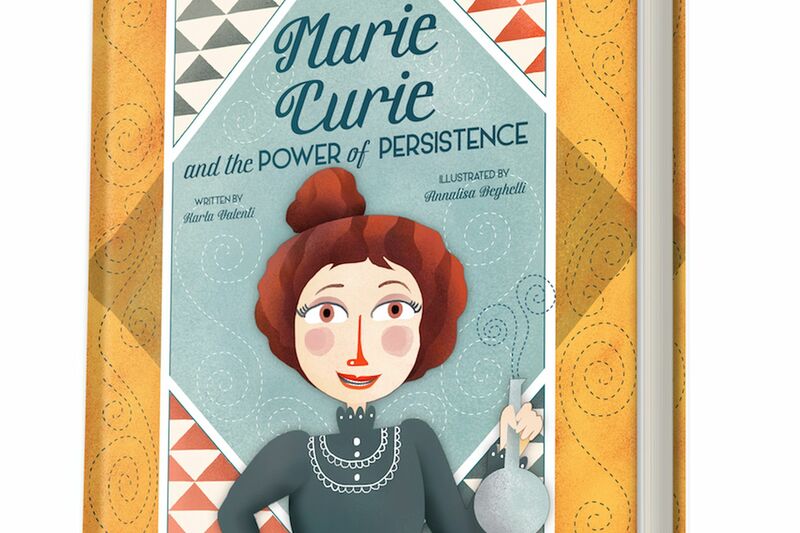 Marie Curie and the Power of Persistence is available only through IndieGoGo, and there are other great extras like hands-on experiments, learning guides, and a Marie Curie inspired notebook to encourage your little scientist to write down all of their observations. Click here to support the book today. This post is brought to you in cooperation with the Marie Curie Alumni Association, a membership-based organisation representing over 8,000 Marie Curie researchers. Marie Curie and the Power of Persistence is the first book in an illustrated series, My Super Science Heroes, that will portray historical figures in science and math to inspire a new generation of scientists. The book is available to pre-order through IndieGogo from June 1-July 4.